Find your perfect CV! 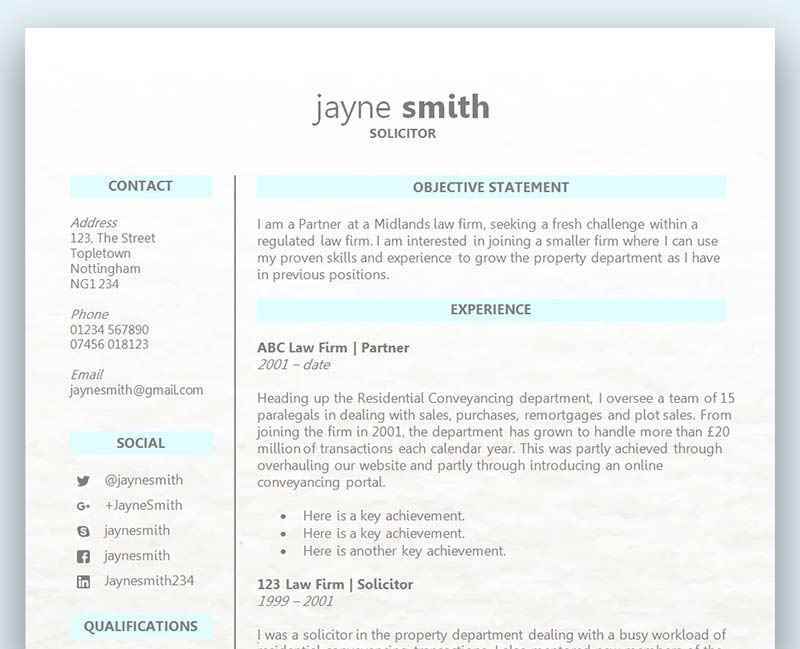 Head to our free CV template collection where you can download your choice of professionally designed Word CV template completely free, without even registering. Christmas is that time of year when we all spend more money than we should. Millions of shoppers all over the UK take to the streets to spend their hard earned cash at Christmas, and in order for the retailers to keep up they have to hire a lot more people. If you’re looking to earn some cash over Christmas and want to take advantage of the extra jobs available, here are our top seven tips on how to get a job at Christmas. It takes time for a company to create an advert, read all the applications, conduct interviews and train new staff, so it makes sense that many retailers begin advertising as early as September. Many people begin their Christmas shopping as early as October and November, so it makes sense to hire staff around September so they are trained and ready to work write up until the mad December rush. A lot of people miss out on a job over Christmas because they don’t apply early enough, so be prepared to begin your job hunt as early as September with the possibility of starting that same month also. A Christmas job rarely ever means working just December, and can typically spill over to January because of the ‘January Sales’. That could mean a job lasting between 4-5 months in total! If you’ve missed that initial recruitment wave, don’t despair – plenty of companies are still hiring to meet the growing demand (see below). If you can’t readily find them on the high street, take your CV to your nearest recruitment agency where you’ll be welcomed with open arms. Most companies are affected by the mad Christmas rush, and we all know that the high street retailers would be an obvious place to start if you are on the hunt for a festive job. However, there are lots of other jobs to consider in hospitality, catering and delivery. The Royal mail regularly hire up to 20,000 extra staff over the Christmas period! If you are not too interested in the usual retail jobs that are often available at Christmas then there are certainly lots of other places to look. Don’t be afraid to go for something more in keeping with your own interests and career goals, as you would always want to have relevant work experience on your CV if you can. Networking can be a fantastic way of getting a job, not just at Christmas, but at any time of the year. One of the best ways is to contact people through social media and also advertise that you are looking for temporary work over Christmas. Most people have hundreds of friends they are in contact with through Facebook, and those friends of course have additional friends, and so on. So just from a simple comment on Facebook letting people know you are available could reach hundreds of people. You could also contact previous places of work to see if they would be interested in taking you on over Christmas. Assuming you didn’t leave on bad terms and maybe if you worked for them last Christmas, they may just be willing to hire you again – especially when you already have experience in that role already. Employers are always looking to hire someone with work experience, and if you’ve already done the job already then you are going to need very little training and can get to work straight away. Make sure you highlight this work experience on your CV. The shift patterns will often change constantly for this type of role, so you need to make it clear to the employer that you are flexible with whatever they throw at you. They don’t have time to hire someone to only find out later that they can’t work (or don’t want to) Christmas Eve. A good idea to get this message across is to write a cover letter to attach along with your CV. A cover letter is a great way to address the manager personally and let them know what you want to achieve at this moment in time. The CV itself just doesn’t allow for that kind of direct approach and is mainly all about showcasing your skills, education and experience. Use a cover letter to make it clear that you are dedicated and flexible to work any days and hours of the Christmas period, and that you could come into work at the drop of a hat if their was an emergency. If you are not able to commit to this kind of flexibility be wary that you may not be the right person for the job. This may not always be the case and if the days and hours are clearly indicated before you apply and there’s no real chance of that changing, then that will be fine. However, in our experience you will typically find that the Christmas period is too volatile and open to change without a moments notice. If you have the right skills and experience for the job, it doesn’t mean to say you will get it if you don’t give a great interview. One of the core aspects of giving a great interview is understanding the company’s goals and what the role entails. Although this will be a temporary position and you might think this is overkill, you have to be aware of how many other people will be applying for the role and how important it is that you stand head and shoulders above the rest. Think about how many other people will have just as much experience as you have and in some cases maybe much more. There may be better qualified and skilled applicants going up against you, so having a good knowledge of the company and the role may just be what puts you ahead of them. The company’s website is a great place to start trying to establish who their customers are, what product or service they deliver, and what their goals are. Do you know someone that works their already, or has done in the past? Why not contact them and ask them what they had to do on a daily basis, and try to gain some insider knowledge. You’d have a huge advantage over other applicants if you were able to get this kind of information. Although searching for a job online is an easy and effective way of finding available employment, it is not the only way. Print off lots of copies of your CV and hit the streets, knocking on the doors of as many retailers, shops and restaurants as possible and handing them out to the managers making them aware that you are keen to start as soon as possible. Handing out your CV in person is all about making a great first impression as well as a memorable one. You need to dress smart-casual and don’t over do it too much, but at the same time you shouldn’t rock up in your ripped jeans and trainers. It’s possible that the manager may even want to give you a quick interview right there and then, so you need to be prepared for all possibilities. Your presentation counts for everything, and also the way you conduct yourself. Always be polite and aware of how busy the manager or supervisor appears to be. Try to interpret their reaction when you ask for the manager and if you get to speak with them. If they look like they are really busy and don’t seem very talkative, then don’t take up too much of their time. Don’t forget to also thank them for their time at the end and make sure you leave your CV with all the correct contact details. Everybody should tailor their CV template to the role they are applying for to ensure it clearly shows you are the right person for the job. When it comes to seeking temporary work over Christmas you have to consider what the most important skills and traits an employer would look for. Let’s say for example that you are going to apply for a job at a clothes shop which will get very busy at Christmas. The employer would obviously be looking for someone that is able to work under pressure, is able to learn the job very quickly, is punctual and has a great attendance record, and someone who has a lot of stamina to keep up with the expected long days and/or nights around Christmas. If you want to stand a chance at getting an interview you are going to have to tailor your CV to show that you have these skills, and make sure that your application acknowledges that these are extremely important. If you decide to use phrases like ‘hard working’ and ‘work well under pressure in a busy environment’ – then great! However, anyone can state this on their CV but it doesn’t mean to say it’s true. You should always try and show evidence on your CV that you are able to put your money where you mouth is, and that could be through your employment history. If you have some retail experience then you should be able to give your CV some credibility. Another great way to do this is to throw in a few examples of your outstanding performance against a few of the relevant roles in your work history section. Provide scenarios, stats and figures, revenue generated, ideas, and problem solving examples.